This is the original videoclip of this song. There are three short/radio versions of this song. The Original Edit (the one in this video, an extended version can be found on the "It's My Life" album), the Future Breeze Edit (in which the heavy part immediately starts after the "Mesdames, messieurs, le disco-jockey, Sasch, est de retour!" 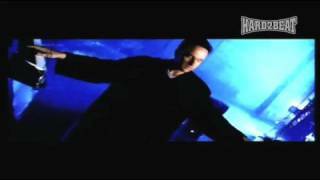 phrase) and the Blunt Radio Edit (as can be heard on theother version of this videoclip uploaded on Youtube, which is a variation on the Future Breeze Remix, but the heavy part only starts after the first "Encore une fois! ").